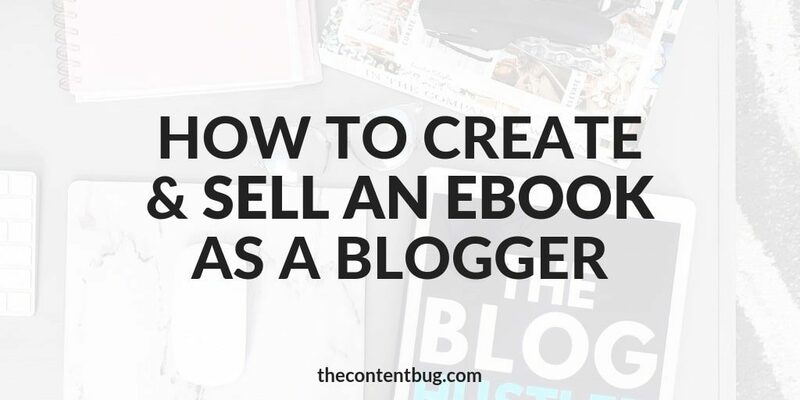 So you want to create an ebook, huh? Well, you better be ready to WORK! When I first came up with the idea of my ebook, I had no idea how much work it was going to be. But I honestly love writing. So I sat down several days a week to crank out the content and before long, I had a 190-page ebook! Now, your ebook certainly doesn’t have to be that long. Depending on the goal of your ebook it could be 10 pages or 200. So in this post, I want to answer all of the questions that I had when I first decided to create an ebook. And if you have any other questions left over at the end, just leave a comment down below and I’ll do my best to get back to you as quick as possible. And maybe even add it into this post in the future! This is probably the part that you want to know the most about. So let’s start off with your burning questions! What do I use to create my ebook? Where can I sell my ebook? Really, how the heck do I sell an ebook?! Well, I’m going to tell it to ya straight. Unless you want to create a kindle version of your ebook and sell it on Amazon, it’s actually pretty easy. 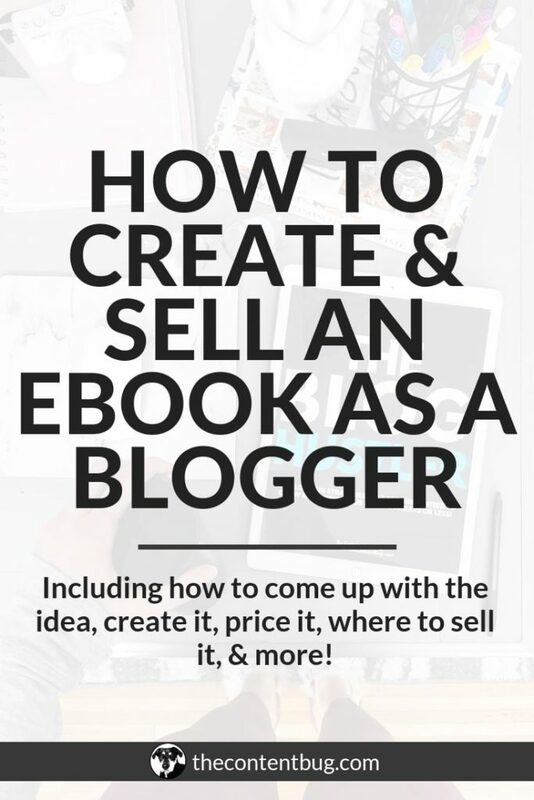 When I created my ebook, the main goal was to just create it and make it available for purchase. I figured that if all went well, then in the future I could dive more into the advanced strategies. So here’s the cold hard truth: I wrote my ebook on Pages. Because I have an iPad and a Mac and I didn’t want to pay for Word on either. Then, I saved it as a PDF. I had an ebook to sell. Since I was already using Teachable for online courses I had created. I decided to sell my ebook on Teachable. Andddd that’s all I did. It almost sounds silly how easy it was. But really it depends on how advanced you want to be. You can create your ebook on Word or Pages. Or if you want to be more advanced, you can create it on one of the Adobe Suite options. If you want to make sure it’s available in Kindle format, then you’ll want to check out those guidelines before you do anything else. Then when it comes to selling it, you can use platforms like Amazon or Blurb. You could use Teachable like I did. Or you can find a plugin to help you sell it directly on your website. Something like PayPal will do. If you’re planning on selling it on Amazon or Blurb, look into their specifications first. It will be a bit more of a hassle to create something that will sell on those platforms. But if you want to creative freedom to just create a PDF and sell it, then Teachable or some other platform like PayPal on your website will do. I would hate for you to design the whole 150+ page ebook only to realize that you need to redo the layout of the whole thing. With the logistics out of the way, it’s time to talk about the idea of your ebook. Now, this isn’t as straightforward. The concept behind what I’m about to tell you is straightforward. But actually coming up with a successful idea is much harder. So here’s the key to your success. Your ebook needs to solve a problem that your audience members have. Well if you read my blog post about creating your first paid product, then this shouldn’t be a surprise. People love free content. And they will keep coming back to your blog for the free content that you provide. But how can you get them to buy something? Well, you really need to target their pain points. What are they struggling with that you can help them with? And almost more importantly, what results can you provide them? When I created my ebook, The Blog Hustler, the main goal was to help bloggers create an action plan that would grow their blog. 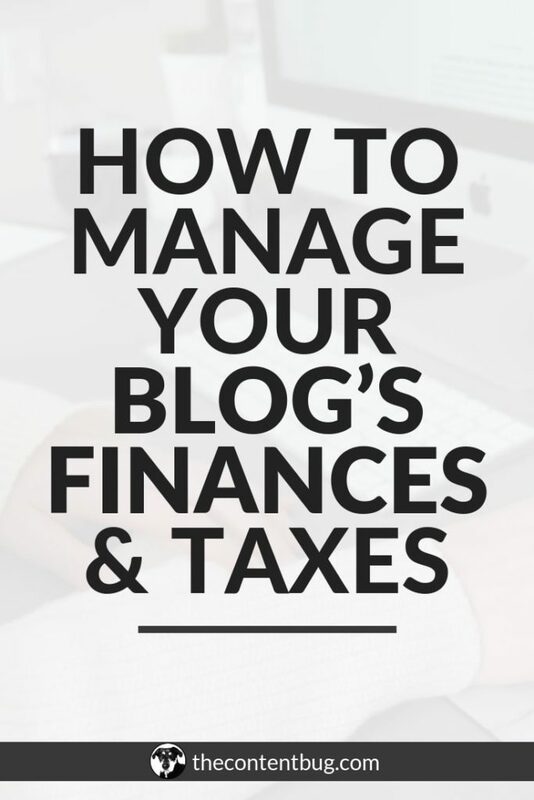 So inside I share the exact steps to create a plan and then I share strategies that will help them to grow their blog in 90 days or less. If you follow the steps provided, you will grow. This is Sarah’s Day’s first ebook. Now, she kinda rebranded it over time to help to promote more of an active lifestyle instead of just the ‘dream body’ goal that many people have. If you struggle with what workouts to do in the gym. Or maybe you’re lacking the motivation to even work out each week. This 8-week challenge is available for purchase to help you get on track to reaching your fit lifestyle goals. This is Lee From America’s guide to meal prepping. You know exactly what you are going to get out of this ebook. If you are struggling with what to eat throughout the week. Maybe you don’t have time to cook food every night. Or maybe you aren’t the best at buying things at the grocery store each week that can work in a variety of different ways, Lee is here to help with this ebook! All 3 of these examples are clear on what they are going to deliver to people that purchase the ebook. They were designed to solve a common problem. Even though the problems are so different! So before you can even start to create an ebook, you need to do your research and figure out what problem you are going to solve. What result you are going to provide to your audience members? 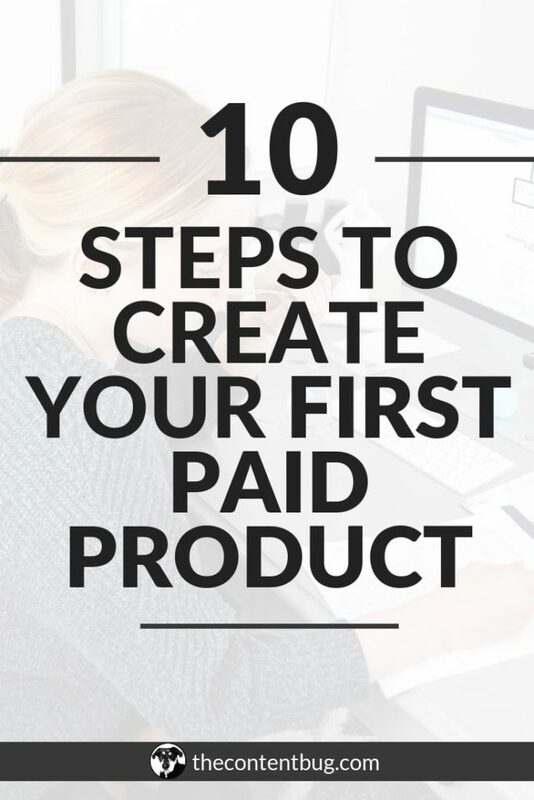 I recommend checking out my blog post about creating your first paid product. It goes over a bit more information about how to survey your audience and figure this out. 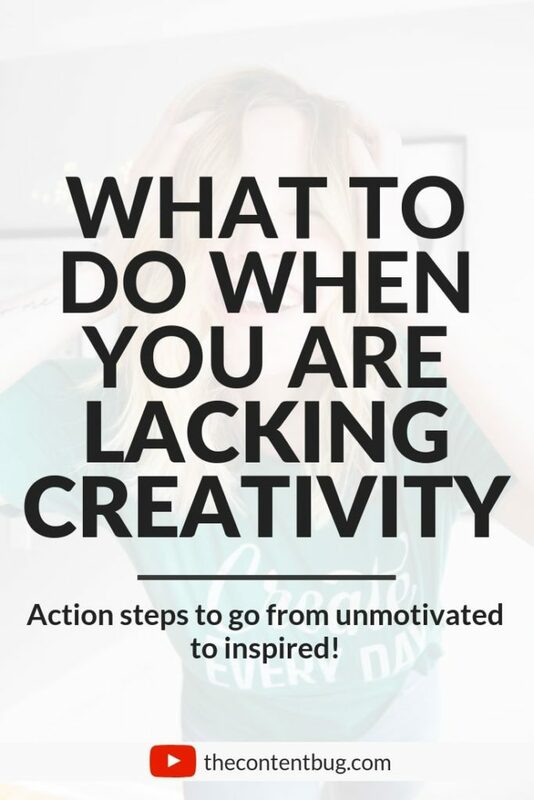 So you’ve got the idea and now you’re ready to start creating? We aren’t to that step yet. I first got this idea from Jen Sincero in her book You Are A Badass. In one of the chapters, she briefly mentioned how she outlines her book on notecards before she starts writing them. And I thought that was such a genius idea that I now use this strategy with all of the paid products I create! Get a big stack of note cards. And on each one write a chapter or idea that you want to include in your ebook. Then on separate notecards, break it down even further. I like my chapters to be broken down into smaller parts. Almost like sub chapters included in each. On those notecards, write out your back up points. What you’re going to include that backs up the main point that you are talking about in the chapter. Now, let’s say that you are creating a recipe ebook. You’ll want to brainstorm what recipes you are going to include. If you’re going to separate them in sections like breakfast, dinner, savory, or sweet. Once you have all your notecards laid out, you can move them around as you please to create your idea outline. I find it so much easier to work with note cards instead of just a piece of paper or on an electronic document because you can move things around a bit more freely. Then when you have things the way you like it, you can create more of a hard copy in the form of your Table of Contents! If you give yourself the freedom to just work on your ebook when you are inspired to work on it, it could end up taking you YEARS to complete it. When I created my ebook, The Blog Hustler, I gave myself 1 month. That’s why you need to create an action plan! Set an end date that you want it completed by. Then break the tasks you need to complete up into 2-week chunks. Write down the chapters that you are going to write and when. When you need to have the cover designed by. And don’t forget about the editing stage! That could take 2 weeks on its own depending on how you plan on editing it. When you have your Table of Contents laid out in front of you, it can be daunting to get started. There is a lot that you have to write, images you need to take, graphics you need to design, and that’s just the beginning. So here are some tips that will help you to survive the process and create the best ebook possible. If you actually listened to my recommendation of breaking each chapter into chunks, it’s going to be a lot easier for you to create because you can look at each section like a blog post. How many blog posts do you have on your website right now? If you’ve been blogging for a year and you’ve launched 1 blog post a week… That’s 52 blog posts that you’ve written! And you’ve survived writing that many, obviously, since you’re reading this. So think about each section in your book like a blog post. And I sat down and treated it like a blog post. Trust me, it will make it seem so much more doable if you break it down as much as possible. And then when you put it all together, you’ll be darn impressed with how much you were able to complete. For my ebook, I ended up writing the ending before I wrote most of the main chapters. And if I’m remembering correctly, I think I saved Part 3 for last. After staring at it for too many days in a row, I knew that I had to jump ship and come back to it when I was feeling more inspired to write about that subject. So don’t feel like you HAVE to write in order! Allow yourself to write about what you feel inspired to write about that day. And then put all the puzzle pieces together at the end. When it comes to formatting your ebook, I recommend that you take a look at what some actual books look like! Yes. Ebooks are very different from actual books. They can include more graphics. And a bit more of a fun formatting style with colors, patterns, you name it! But the one area that physical books can help you is with the details. Like formatting a new chapter or a new section. Where are the numbers located on the page? What about the about the author? And other credit that is given to the people that helped you? So head to your bookshelf and start flipping through the pages of a book. The little details and pages that you typically don’t notice are important to the book for a reason! Uhhhh if you have my ebook, then you know that there are some errors in there. But for 190 pages of content and doing everything myself, I don’t think it’s that bad! Once you’re done writing your ebook and you’re ready to start the editing process, I recommend that you have someone else do it for you. When it’s your own writing, it’s so easy to skim over things and miss some obvious mistakes that an outsider would pick up on. So you can either pay someone to do it. Or you could have a family member or friend edit it. Now, what about those lone-rangers out there like me who want to do it themselves? Well, then I recommend you print it out, grab a colored pen, and start working at it chunk by chunk. But seriously, if you can, have someone else edit it. When I convert my ebook into a physical book in the future, I’m going to take the editing a bit more seriously. Ah. Now it’s finally time to talk about pricing the ebook. And this is a tough one. Because it’s really going to depend on the length of the ebook and where you are selling it. The longer the ebook is, the more you can charge for it. Wait. Let me actually change that statement. The more helpful and life-changing information that is included in the ebook, the more you can charge for it. If you fill a book with just fluff and charge $59 for it because of the length, that’s not fair to your audience. Now to give you a perspective of what you could charge, let’s go back to those 3 examples I gave you above. All 3 of these are priced SOOOO differently! And it doesn’t directly relate to the length of the book. So the best advice I can give you is to take a look at what other people within your niche are charging for similar products. And if there aren’t any, then move outside your niche. And don’t forget to incorporate the fees that the platform you are selling on will take from you. ANDDDDD the taxes that you will have to pay. I was originally going to add a final section talking about selling and promoting your ebook. But this blog post is already over 2,400 words long. And I could go on forever about convincing your audience to buy your paid product. So we’ll save that for another blog post. Again, if you have any other questions, please leave them below. And I’ll see ya back here soon!